this month takes on a strictly local flavor. 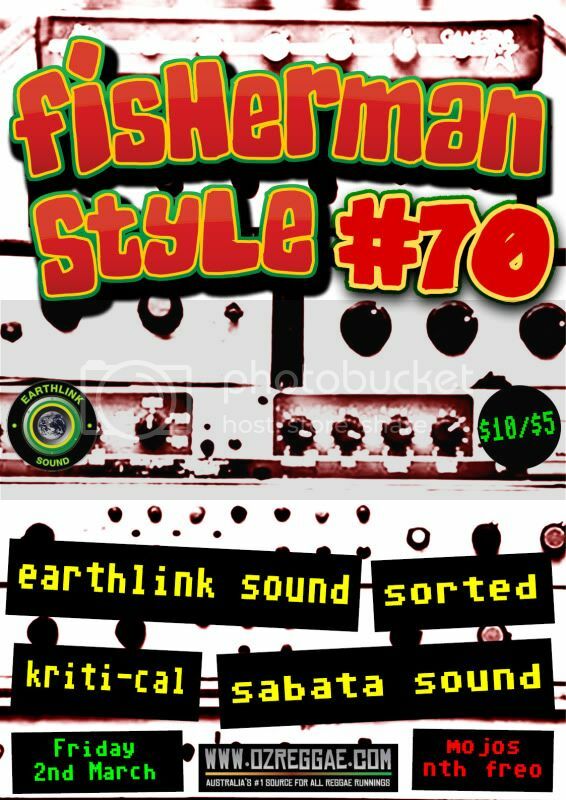 Fisherman Style #70 sees the return of an old favourite and the debut appearance by another. DJ Sorted is back after a 5 month break and is sure to have a fresh bag of tunes. Playing for the first time at FS is a selector making a real name for himself not only as a DJ but as a producer of the highest order, the man called KRITI-CAL. last month make the trek down to Mojo's and release the work week frustrations. KABOOM! then it's $10 pressure aon the door. #70! getting up there. long live Fisherman Style!